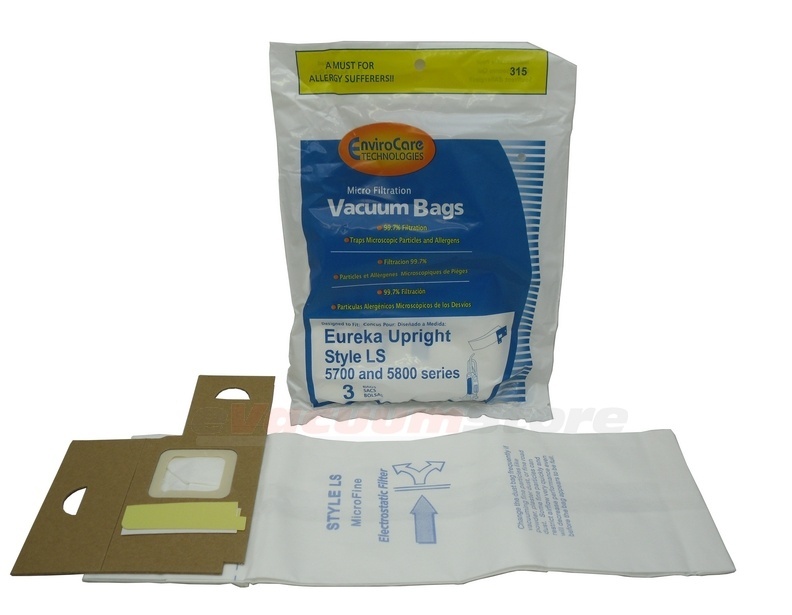 These generic replacement vacuum bags are designed to fit Eureka 5700 and 5800 series upright vacuums. One package includes three LS-style replacement bags. For more information about this product, or if you would like to place an order over the phone, please call (866) 972-8227. Great price and quality is as good as name brand. I would recommend.